At Sundance, we believe in the value of artistry, handcrafted moments, and unique treasures. Naturally, Valentine's Day puts us in the mood for love. What's better than a whole day dedicated to indulging in loving yourself and those around you? We couldn't resist curating some of our Valentine's Day gift ideas for you and yours. Whether treating yourself, some of your friends, or the lucky person on the other side of the table, there's something for everyone that will certainly create a moment. Our Cable Toasty Tweed Pullover is so warm, it's perfect for the coldest of days. The sweater is a fitted, turtleneck pullover with cable knit-detailed front, rib back and sleeves. Perfect for cooler days and for someone who likes comfort without sacrificing style. Our "gifts to splurge on" shop allows you to explore rarefied objects for life's most significant occasions, like Valentine's Day. 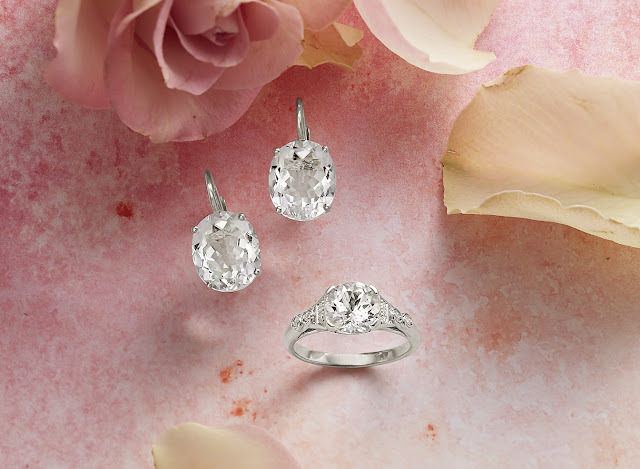 The Brilliant Beauty earrings (shown above) are made of white topaz that captures the light and the eye as it shines from 14kt white gold prongs with hand-cast rosebuds. The Love Shines Ring (above) is the perfect piece for that special someone. It has diamonds flanking a singularly beautiful white topaz stone on a 14kt white gold band abloom with tiny hand-cast rosebuds. Shop gifts to splurge on to find all of the gifts to dazzle and delight the one you love. This personalized leather jewelry case offers a beautiful design with a personal touch. Uniquely hers, the letter perfect jewelry case with her initial offers safe storage—six pockets in all—for precious metals and jewels. Choose to personalize it with a lowercase letter or non-personalize. This gift is perfect for the woman who always seems to be on the go. Our entire "Gifts for Her" shop is specially curated to contain something for everyone, from the letter perfect jewelry case, to charming boots with a western twist, there will be something to delight everyone on your list. 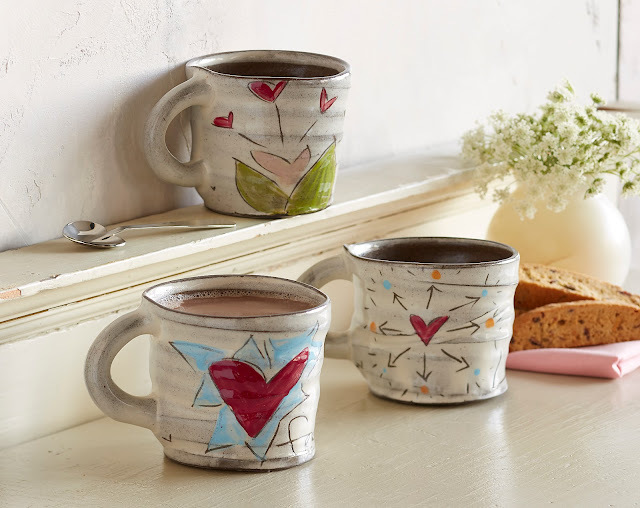 Surprise your Valentine with a lighthearted, handmade mug full of love, handcrafted in clay and glazed with “heart-y" advice. Choose "Free To Be", "Love All Ways" or "Sow To Grow" designs. In our "Gifts for the Home" shop, you'll discover beautiful objects to delight the senses. With pillows and platters, the gifts for the home shop is perfect for that special someone who loves hosting. Shop our entire Valentine's Gift Guide here.